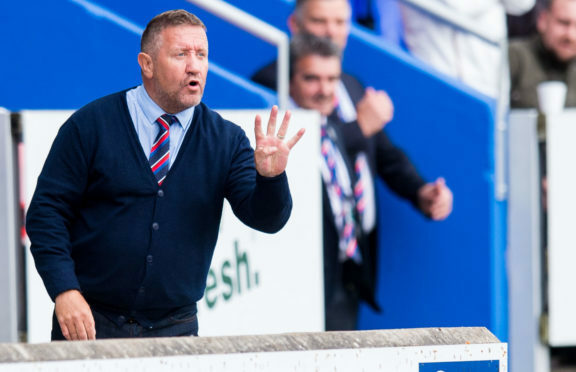 Caley Thistle manager John Robertson says a Championship fixture against Ross County is a form of the Highland derby that neither team wants. County were relegated from the top-flight at the end of last season, suffering the same fate as rivals Inverness who were demoted 12 months previously. Although both sides currently lead the way in the second-tier, with Inverness a point ahead of the Staggies, Robertson is keen to see the return of both teams among Scotland’s elite. Robertson said: “It is disappointing to have the derbies back, to be brutally honest. Neither ourselves or Ross County want to be playing a derby game in the Championship. “I’ve said all along, I didn’t want Ross County coming down from the Premiership. It is important for the region we have a presence in the top league. “But they’re here – and we get on with it. “For the fans, it will be exciting, a big occasion and they will all be looking forward to it. Like the players, they’ll be nervous and hoping for a positive result. Robertson oversaw eight derbies during his previous stint as Caley Jags boss between 2002 and 2004, with Staggies co-managers Stuart Kettlewell and Steven Ferguson taking charge in the fixture for the first time in Dingwall today. Robertson feels Kettlewell and Ferguson’s familiarity with the fixture as players will make up for any lack of experience, adding: “I’m sure Steven and Stuart have proven already in their co-managerial roles they are more than capable. They had a good League Cup section and a very good start to the league campaign. “It is their first derby, but they’re both veterans of the fixture and have played in it many times. “The only difference they’ll find this weekend is they can’t directly influence the game like you can as a player. As manager or coach you have to do that from the sidelines.